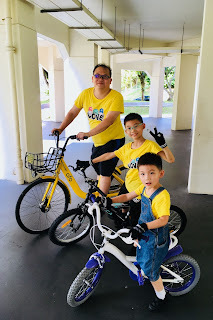 With Joram able to cycle, we went for a bike trip around the neighbourhood for starters. 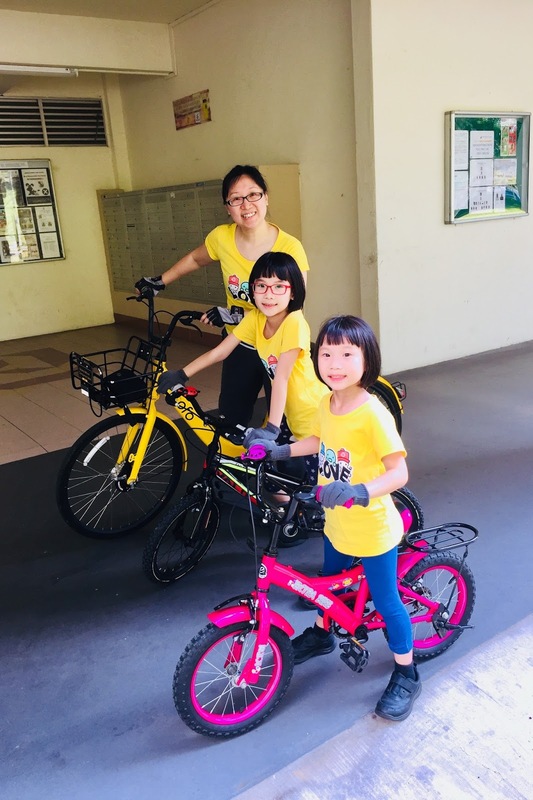 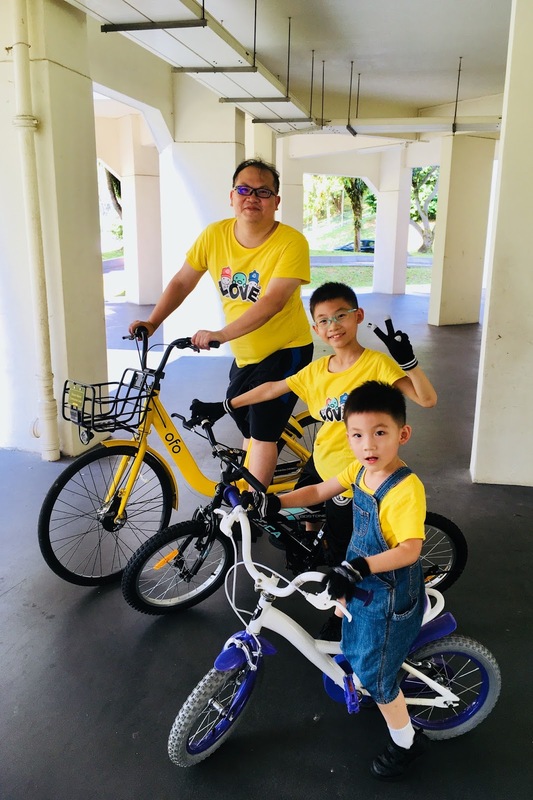 Joshua and I rented ofo bicycles to ride with our kids. As a safety precaution, I got everyone to wear yellow so as to be as visible to pedestrians and other riders/drivers as possible. 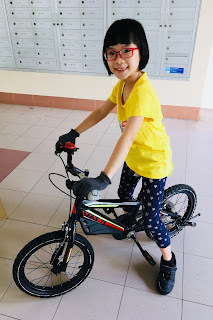 I also made sure the kids wore gloves and long pants in case of anyone falling on the rough asphalt. When Joram becomes more confident with cycling, we'll venture further. So looking forward to it! 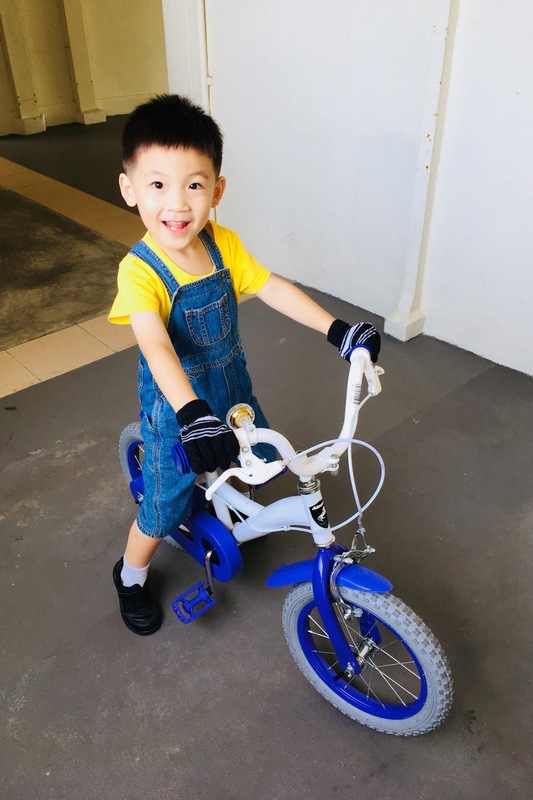 Check out Joram's increased competence so soon after learning how to ride!